Cultural maven Augusto Villalon recently earned a coveted Honorary Membership in the International Council for Monuments and Sites (ICOMOS). Like others in the small circle of honorary members, the Filipino conservation architect and heritage planner is recognized as a global leader in heritage conservation, being one of the earliest advocates of conservation in the Philippines. Since the start of his career, Villalon has always tried to raise the Filipino national consciousness on the need to conserve our heritage as a means to achieving Filipino pride. His long-running column in the Philippine Daily Inquirer, and earlier in the Manila Chronicle, was a perfect vehicle for raising heritage awareness among readers. He acknowledges that their feedback raised his own heritage awareness. “The PDI column was a perfect way to introduce and test ideas necessary to build up focus and direction for carrying out an advocacy and it put me in touch with the public and allowed me to talk about the need to preserve all aspects of Philippine heritage,” Villalon declared. In its 50 years of existence, ICOMOS has given honorary memberships to only 84 of its 75,000 members, and Villalon is the only Filipino thus honored so far. As a former President of ICOMOS Philippines, who has served on the ICOMOS Executive and Advisory Committees in Paris, Villalon jokes that this means he no longer has to pay his annual ICOMOS dues. ICOMOS advises the UNESCO World Heritage Committee on cultural heritage matters. The Philippines has several UNESCO World Heritage sites. Under culture we have the city of Vigan, Banawe Rice Terraces and several baroque churches (i.e., San Agustin Church in Intramuros, Paoay, and Sta, Maria Churches in the Ilocos, and Miagao in Iloilo). We also have UNESCO natural heritage sites like the Tubbataha Reef in Sulu and Puerto Princesa in Palawan. We have over 20 proposed cultural and natural sites pending before the UNESCO. 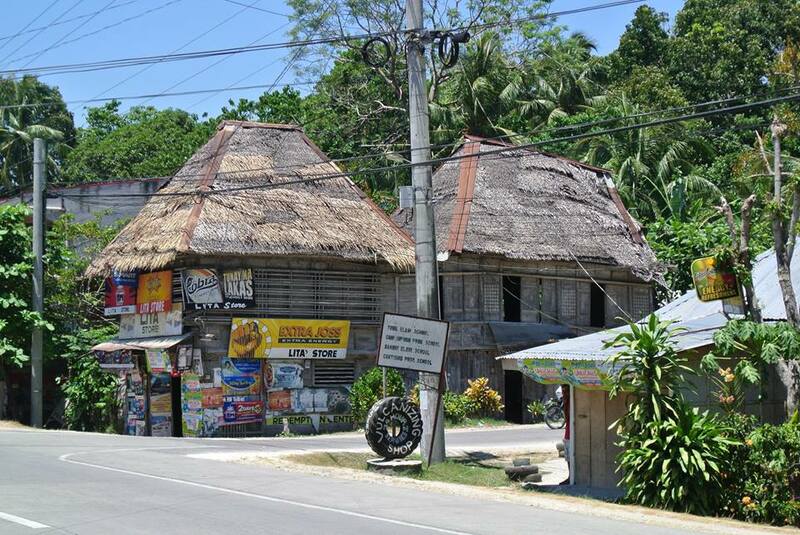 Our traditional Filipino vernacular (no professional architect) architecture, starting with the bahay kubo, which Villalon points out is adapted to our climate and available materials. For the few Filipinos who are even aware of heritage conservation in the Philippines, and for the fewer who might actually care about it, what usually comes to mind is the preservation of our material culture. These are generally the crumbling churches and the ancestral homes of the tiny Filipino elite, or the masterpieces and artifacts displayed in musty museums and in the private collections of the wealthy. The urbane, white-haired Villalon acknowledges that the toiling masses may have little interest in that kind of heritage conservation as such. After all, our indio ancestors probably had to render forced labor to hew and haul the massive stones, or to give up work on their own farms thus starving their families, in order to chop and carve the wood that went into these imposing edifices and ornately luxurious furnishings. And as for the business taipans whose racial and cultural roots may be other than Filipino, the economic returns on building an office tower at the site of an ancient architectural landmark (consequently marked for demolition) may be a no- brainer. 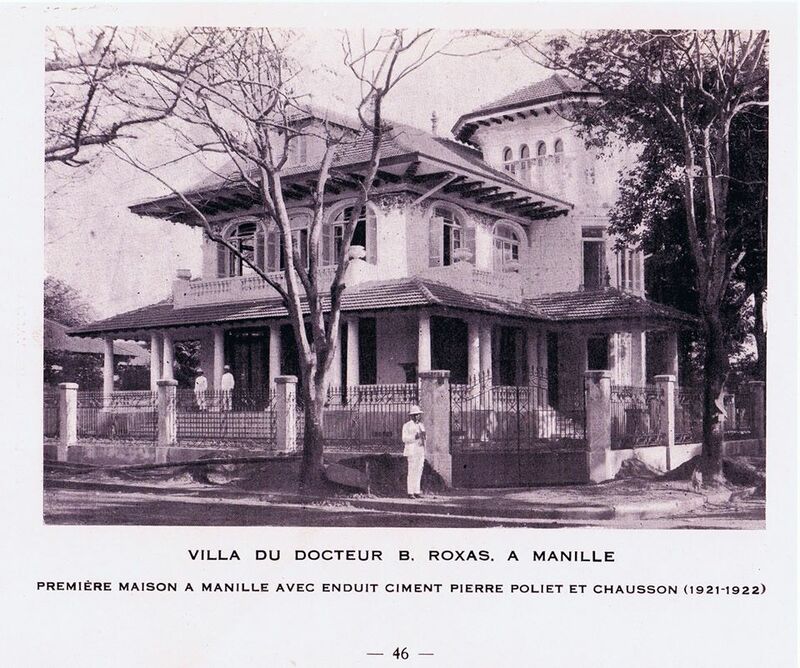 The Dr. Baldomero Roxas house, pictured here, was designed by Andres Luna de San Pedro y Pardo de Tavera, the son of the painter Juan Luna y Novicio and was the first Philippine house built of reinforced concrete--buhos. Luna de San Pedro was best known for designing the first air-conditioned Philippine building, the Crystal Arcade along the Escolta. Cultural and eco-tourism do create jobs for the community. Most obviously, there are the tourism front-liners: the trekking and tour guides; transport and hotel operators. But think also of the people behind the scenes: the masons and carpenters who must do the rebuilding and maintenance; the farmers who grow the ingredients that go into the pasalubong of regional delicacies made by enterprising housewives; the hand-crafted souvenirs by local artisans. There are all sorts of possibilities for IGPs, or income generating projects. Villalon puts it more succinctly: “The community must be involved and must take ownership of their own heritage to be able to develop their own brand of sustainable conservation in partnership with government authorities.” The transformation of sites into tourism draws gives these formerly white elephants new vitality in the community’s life Successful examples are Vigan in Ilocos Sur, Dauis Church in Bohol and Balay Camina in Iloilo City. The Balay Camina y Avancena Balaty nga Bato was built in 1865 by the ancestors of Chief Justice Ramon Avancena. It shows how a 19th century bahay na bato has been adapted to the 21st century while retaining much of its yesteryears character and charm. The number of domestic and balikbayan tourists enjoying our country’s historic and natural heritage sites continues to grow. Ironically, most of these balikbayan are vacationing OFWs or overseas Filipinos who have to work outside the Philippines in order to be able to afford treating their families to such rare vacations—probably the only time they can experience and appreciate our Filipino heritage sites. However, Villalon stresses that our cultural heritage is more than just buildings and artifacts, even if these are its most tangible and literally concrete representations. Heritage as a whole is very complex as it permeates our very existence, history and ultimately, our communal and national identity as Filipinos. Villalon gives the example of Filipino food, which is gradually asserting its distinctive character among world cuisines. Still, in many towns, the native kakanin has been supplanted by American factory-made processed food like Chips Ahoy and Pringles Potato Chips. Pride of place, which Villalon has long espoused, should also include preserving and promoting our local artisanal wares. He looks to a time when Filipinos in far-flung areas may also develop and practice their own form of rural or countryside tourism as is being done through home-stay programs in other countries. The lack of modern amenities such as electricity and internet already serves as a respite and is an added attraction in some Philippine resorts. Beyond the revenue generating possibilities of cultural and eco-tourism, Villalon sees the more urgent need for Filipinos to acquire a true sense of what it means to be Filipino in oh so many ways: from our languages and cuisines, to the distinctive look and character of certain places, to our multifaceted and contentious history. Significantly, the NCCA (National Commission on Culture and the Arts) Sub-Commission on Cultural Heritage, which includes the Committees on Archives, Art Galleries, Historical Research, Libraries and Information Services, Monuments and Sites, and Museums, has undertaken the gathering of Martial Law memoirs. The ICOMOS Philippines representative to this committee (where Villalon was one of the first members) was especially passionate about this. Our history, no matter how dark and painful, is part of our heritage too. As conservationists know, sometimes removing the dirt or the patina from an object of antiquity, or a piece of art, changes its appearance irrevocably, and may even reduce its value or lead to forgery and fakery. Our past is part of ourselves as a nation, and as we struggle to find and to form our Filipino identity, we must preserve our memories if we are to have a future as a nation. For Augusto Villalon, our heritage remains key. Maria Carmen Sarmiento is an award winning writer and the former Executive Director of the PAL Foundation. She can be reached at menchusarmiento@gmail.com; menchusarmiento@ymail.com.